Penelope Hope is a British lifestyle brand where you will find luxury cushions, designer fabric, lampshades and bespoke furniture pieces adorned with vibrant and playful prints. It was founded in 2015 by artist & designer Nadia Newton for style-savvy colour lovers. If you love colour then this competition is for you. 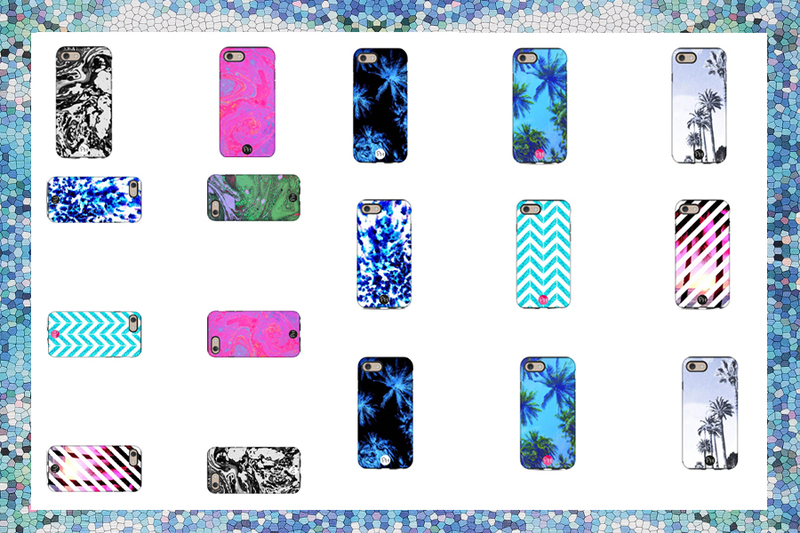 PH designer iPhone cases are both stylish and playful, and make the perfect fashion accessory with their unique gorgeous prints. Choose from a selection of striking chevron patterns if you are the geometrically inclined, leafy palm and pineapples for the exotic tropical fashionistas, marbled finish for the gorgeous sumptuous look, and starry skies for the celestial dreamers amongst you! The colours are striking and irresistible and you can’t help standing out with one of these in your hands. The phone cases are available for most iPhone models: 5, 5S, 5C, SE, 6, 6S, 6 Plus, 7 and 7 Plus. Effortlessly marrying trend with quality, the phone cases have a black inner layer that protects your phone much more than the snap on cases widely available on the high street. The clarity of the print is not affected by UV light or reduced by everyday knocks, and so you can count on it looking fresh for a very long time. This competition will allow you to choose one iphone case only.